Do you know that Gursharan Singh debuted at Hamilton, New Zealand in a match against Australia ! All is not well with Delhi Cricket….. the team has not qualified ~ poor form of some of the senior batsmen coupled with a complete breakdown of trust between players, administrators, and selectors crippled Delhi's controversy-ridden Ranji Trophy campaign. Delhi finished fifth in 9 teams in Group A. Chetan Chauhan, former opener and now Chairman of DDCA selectors said - Virender Sehwag’s “confusion with his batting slot” badly affected his game in the current Ranji Trophy season. “Make no mistake, Virender Sehwag is a great cricketer. I believe the problem was his confusion with the batting order. He was in a dilemma as to whether to bat at the top or bat in the middle-order and that has affected his game,” Chauhan, a former Indian opener who played in 40 Tests, told PTI in New Delhi. The players (Captain) and administrators pulled in different directions on the venue too. Besides, selection of players also became controversial…. Gambhir successfully insisted on picking 'outsider' pacer Navdeep Saini, who apparently belongs to Haryana. Delhi and Feroz Shah Kotla have a big history. Feroz Shah Kotla Ground at Bahadur Shah Zafar Marg, established in 1883, is the second oldest international cricket stadium still functional in India, after the Eden Gardens. Feroz Shah Tughlaq (1351–88), the Sultan of Delhi, established the fortified city of Ferozabad in 1354, as the new capital of the Delhi Sultanate on the banks of Yamuna river, the site of the present Feroz Shah Kotla. Most of the city was destroyed as subsequent rulers dismantled its buildings . Sultan Feroze Shah Tughlaq was a ruler in Tughlaq dynasty who succeeded Muhammad bin Tughluq but ruled over a much smaller kingdom. 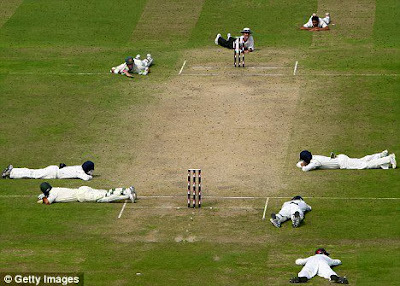 Interestingly in Oct 2008 – in a test match against Australia, the Umpires Aleem Dar and Billy Bowden as also the players on groud had to hit the turf because of bee attack. It was a question of to be(e) or not to be(e) ! ~ now the news is not of Cricket but of election where Cricketers lost so badly. It was to be a high profile election with the great left-arm spinner Bishan Singh Bedi and a team of cricketers to pitch against ruling lobby of DDCA. It was a team of Bedi, Madanlal, Abbas Ali Baig, Gursharan Singh… coordinated by Kirti Azad who did not contest. There have been corruption charges and charges of misadministration. It had so many serious issues : selection process, age-fudging in junior tournaments, financial irregularities, outsiders from adjoining Haryana and UP becoming regulars in club cricket and more. The spinner Bedi's panel had a simple agenda: "to clean the game". Bedi, India's first cricket manager, who has a reputation for being a straight talker, campaigned for freeing Delhi cricket from corruption. ~ and when the results were out……… the former India captain Bishan Bedi lost the election for the presidency of the Delhi and District Cricket Association (DDCA) by a huge margin to Sneh Prakash Bansal. Bedi got only 285 votes, while Bansal got 3433, and none of the other international cricketers in Bedi's camp could manage even 200 votes in their respective categories. Surinder Khanna lost the general secretary's election to Anil Khanna by 2345 votes, while Madan Lal was beaten in the sports secretary's election by 3258 votes. Two other former international cricketers Gursharan Singh and Abbas Ali Baig fought for a place in the executive committee but got only 163 and 169 votes. Sneh Prakash Bansal and his panel on Monday swept the DDCA polls with a landslide victory procuring more than 70 per cent of the votes. While Bedi faction raised objections about the manner in which AGM was conducted, Bansal & Co. showed that with the system of proxy votes in place, it’s near impossible for an outsider to win an election. Tailpiece : With a century in his maiden first class match against an international attack no less (for India U-22 vs England in 1981-82), Gursharan Singh kickstarted his career with rare panache. Two seasons later he was on the playing field during a Test match against West Indies at Ahmedabad, albeit as a substitute, and took an unprecedented four catches at forward short leg. He made his debut in Mar 1990 at Hamilton, New Zealand where India played Australia in ODI 618 under Azharuddin. The team composition is quite different than what we normally read : WV Raman opened with Manoj Prabhakar – Sanjay Manjrekar, Azharuddin, VB Chandrasekhar, Gursharan Singh were the batsmen, great Kapil Dev was followed by A Sharma, Kiran More and Atul Wassan. India made 211 and Australia won by 7 wickets.